Goodreads Summary– Unburdened by the material necessities of the more fortunate, the denizens of Cannery Row discover rewards unknown in more traditional society. Henry the painter sorts through junk lots for pieces of wood to incorporate into the boat he is building, while the girls from Dora Flood’s bordello venture out now and then to enjoy a bit of sunshine. Lee Chong stocks his grocery with almost anything a man could want, and Doc, a young marine biologist who ministers to sick puppies and unhappy souls, unexpectedly finds true love. Cannery Row is just a few blocks long, but the story it harbors is suffused with warmth, understanding, and a great fund of human values. 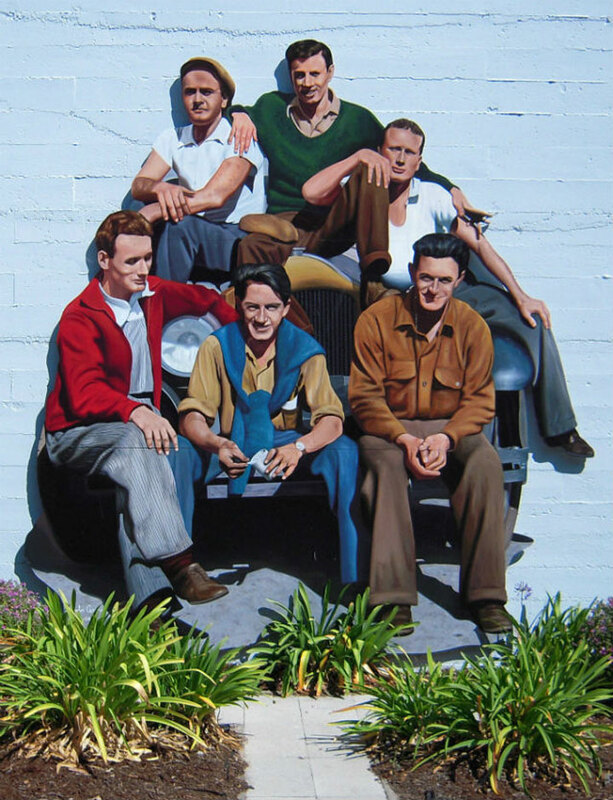 First published in 1945, and drawn from Steinbeck’s memories of real inhabitants of Monterey, California, Cannery Row focuses on the acceptance of life as it is—both the loneliness of the individual and the exuberance of community. I have mentioned Cannery Row so many time on my blog, so I figured it was about time I reviewed it! It is Independence Day so I thought it would be an appropriate time to talk about a book written by one of America’s greatest authors! 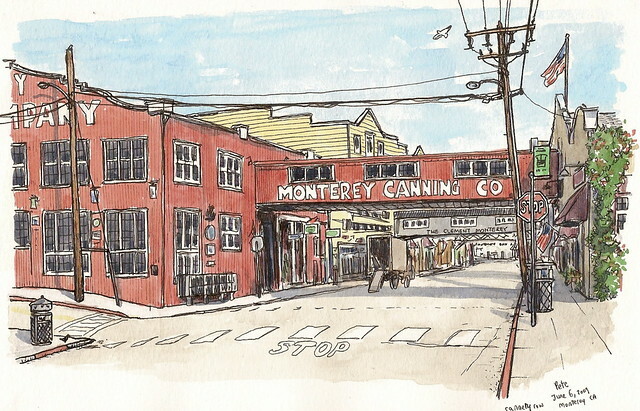 Cannery Row is one of Steinbeck’s lesser known novels and I hope this inspires at least one person to pick it up! I am not going to write my typical review with Loves and Dislikes because this is my all time favourite book- obviously there is nothing I dislike! Cannery Row is all about the characters! The cast of characters are just so wonderful! Many of them are struggling and in desperately difficult situations, but they manage to persevere. Mack is my favourite character of all time. He is one of those people that always means well but seems to mess things up in the process. He has such a great heart, but he is unlucky! In spite of this, he remains positive and optimistic. This quote pretty much summarizes the whole book for me. Mack and the boys are the kind of people that many of us ignore, and because of that we might miss out on meeting someone wonderful. The story is simple, yet charming, funny, and sad. The eloquence of Steinbeck’s writing really shines in Cannery Row. I hope you enjoyed this short review, excuse me while I go and read Cannery Row for the 15+ time! Top 5 Wednesday- No Romance! This sounds great! Have you read East of Eden? I read it earlier this year and it’s already become one of my all-time favorites. It is one of the books I am currently reading!! I know it is a lot of people’s favourite book by him. He’s such a fantastic writer! Yay! 😀 I know you’re going to love it! It’s a quick read as well!